– Achieve your financial goals! – Build more successful relationships! 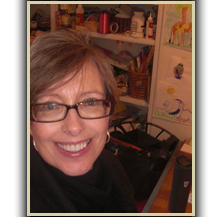 With over 20 years of experience interpreting, analyzing and using drawings as healing tool, Karen Stabley has successfully aided her clients in life transformations, financial success and finding and sustaining meaningful relationships. Based on the theory that drawings contain symbols and specific meaning that can guide, unlock, and reveal hidden clues to one’s life, Karen has the insight and skills to help others see the message from their unconscious. The Drawing Analyst does not expect that her clients be artists, no skill is required. Karen also works with professionals, life coaches, psychologists and therapists who have sought her expertise to uncover issues with their own clients. She offers a 6 part program specifically for professionals called the Visionary Life Coach program. Karen’s Transformation/Healing/Success Program helps individuals who seek clarity insight and joy in their lives. Karen understands the deep significance of imagery and its symbols and is trained to use drawings as a tool to help others transform their lives. Are you ready to overcome your fears, resistance, and self doubt once and for all so you can finally claim the life your REALLY want…?